The gambling industry in the state of Mississippi has seen several ups and downs in the recent months and this is not a surprise to anyone, as there is considerable development in the field. According to the recently released information regarding the profitability rates of the gambling sector in the state, the revenues of gambling locations in the area have dropped 2 percent in 2017. As it has been confirmed, the reason for this fall in revenue is because of the performance of gambling facilities along the Mississippi River and the insufficient levels of income. 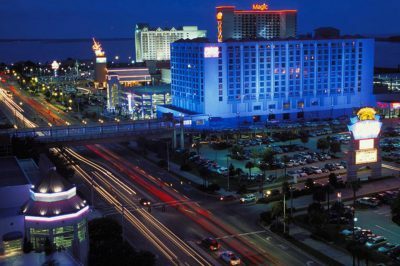 In the meantime, the casino facilities located at the Gulf Coast have been showing great performance and slight gains have been marked. However, this was not enough for the overall gambling revenue in the area to surge, meaning that the industry saw the drop in the revenue rates. According to the information issued by the State Revenue Department, for the year 2017, the revenue across the state of Mississippi has reached the $2.08 billion mark, which is lower than the figure which 2016 saw. It could be recalled that 2016 saw revenue rates which were $40 million higher than what 2017 witnessed. When it comes to monthly performance, the month of December amassed more revenue in comparison to December 2016, and it reached a total of $176 million. This is 3 percent higher than the $171 million accumulated in December 2016, and it means that gamblers have spent and lost more on gambling in the month of holidays and gift-giving. 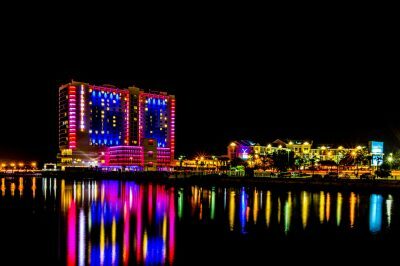 There are a total of 12 gambling venues in the coastal region and they witnessed a 7-percent rise in the revenue rates in December. Reaching $99 million this secured a fourth consecutive year of gains for the said locations, which is a good sign for the gambling field in the region. Considering the whole year, however, the revenue rise amounts to less than 1 percent, barely reaching $1.19 billion. In the meantime, the 16 gambling floors along the Mississippi River mark one more year of steady decline. Every year since their peak back in 2006, but one, has witnessed a continuous decline in the revenue figures and this is not something new for the area. For 2017 the revenue dropped 5 percent and made it only to $885 million. As tradition dictates, the month of December was not that harsh and brought a drop amounting to only 1.4 percent in comparison to December 2016. This equates to some $77 million amassed for the holiday month. It could be recalled that the month of November saw an increase in the casino’s gross gaming revenue amounting to some 8 percent, reaching $87.9 million. This ultimately results in the overall increase of the combined Coast casino revenue to within $2.9 million compared to last year’s total over the same time. As reported by the authorities all twelve casinos made for $95.1 million in gross casino revenue in the month of November.